Product code: ES8340 Categories: Sold Items, Sold Jewellery. 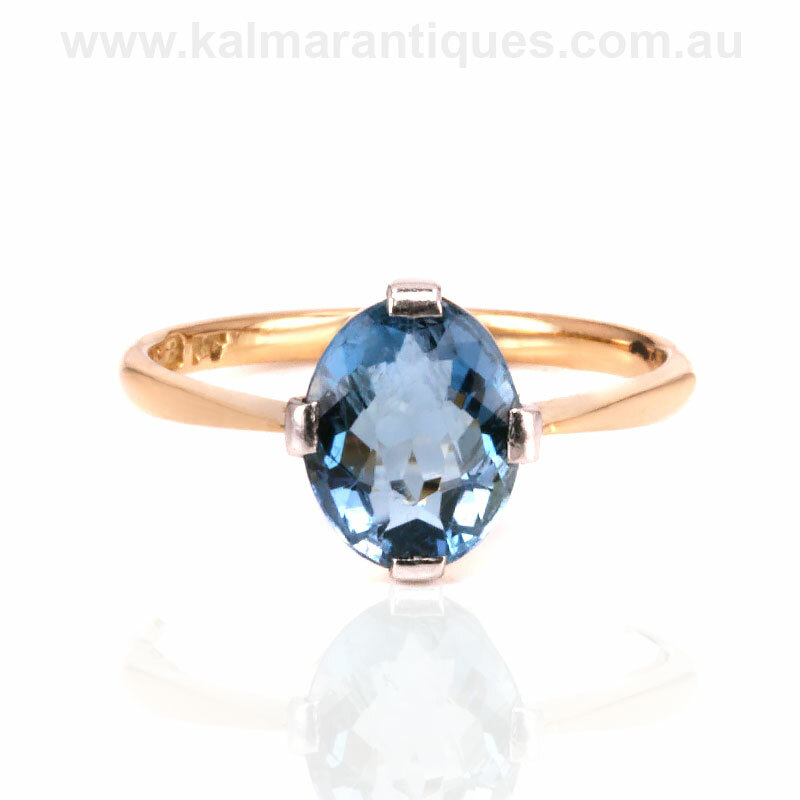 Here is an Art Deco aquamarine ring made in the 1920’s that is just stunning and will so easily suit any finger and any occasion and always stand out thanks to the magnificent deep blue colour coming from the aquamarine. 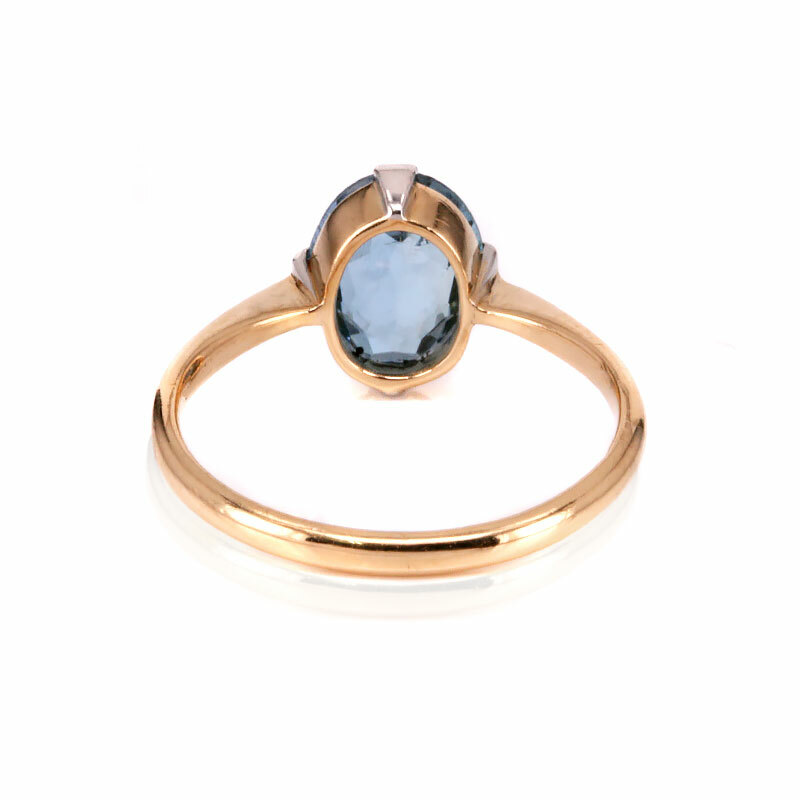 Whereas it is more common to get aquamarine with a lighter colour which is of course fine, the deep colour of this aquamarine really makes it stand out as does the incredibly elegant and refined setting. The aquamarine measures 1.50 carats and measures 9.4mm by 8.1mm across and is set in a handmade setting of 18 carat yellow gold and platinum. The way the platinum claws elegantly come up and hold and support the aquamarine seem to grasp it from the air and pull it down and support it on the yellow gold band. This is a wonderful and beautiful example of a genuine Art Deco ring from the 1920’s, that is so stunning and will always be loved and admired. Tag: Art Deco aquamarine ring.